Dallas, TX (December 4, 2018) - Head Coach Tim Jankovich and SMU’s Men’s Basketball continue in their partnership with Coaching for Literacy (CFL) to raise awareness about the issue of illiteracy in America and to provide support for young children struggling to read in Dallas. 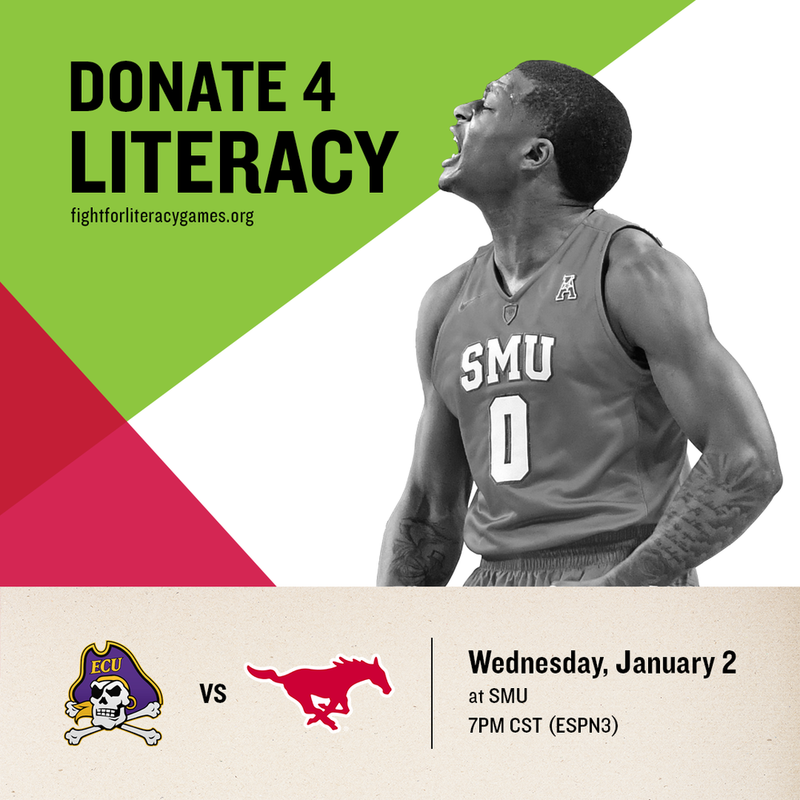 The Mustangs will host Coaching for Literacy’s Fight for Literacy Games initiative on January 2, 2019 when the ECU Pirates visit Moody Coliseum. The AAC contest will tip-off at 7 P.M. CST with coverage on ESPN3. Fight for Literacy Games bring coaches, players, and fans together in a common cause: ensuring our children can read. To raise awareness about the issues connected to illiteracy, the SMU coaching staff will wear Coaching for Literacy’s Green for Literacy awareness kit, showcasing a green tie provided by Peter Millar as well as a green lapel pin and wrist band. Per the National Assessment of Educational Progress (NAEP), 71% of 4th graders in Kansas are not proficient in reading. SMU Men’s Basketball is doing its part to help change the stat and encouraging fans to get involved in the cause. Coaching for Literacy guarantees that 100% of funds raised will benefit children who take part in the literacy programming of Readers 2 Leaders in Dallas. Fans are also encouraged to sign up to volunteer with Readers 2 Leaders by visiting coachingforliteracy.kindful.com/register/volunteer.